GLITZ NO.3. SULTRY SHADES. No.3 Glitz (glitter shades). This lovely compact is ideal to pop in your bag. 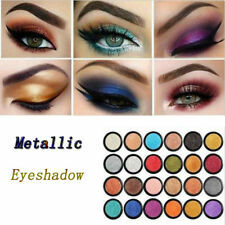 EYE SHADOW COLLECTION. A superb quality collection of eyeshadows. 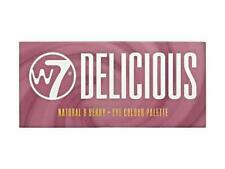 W7 Delicious Palette. This Palette Is PERFECT For All. You Can Make So Many Different Looks Just by Using This One Palette. Can Also Be Used For Light Contouring, Just Simply Use The Lightest & Darkest Shades On the Palette. Type: Palette Eyeshadow. 1 x Palette Eyeshadow. - Long-lasting,Easy to Wear,Natural,Waterproof.Provide total camouflage for almost any skin problem. 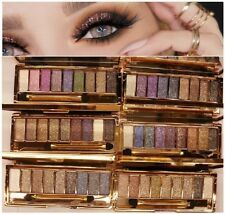 - There are neutral shades as well as jewel-toned shades.The colors blend together charmingly and they don&＃39;t settle around the crease or the corners of your eye. Type:Eye Shadow. The powder is fine and the color is rich. We will always help you to have a 100% positive happy buying experience. Easy to use and goes on nicely. Type: Eyeshadow Palette. - Eyeshadow Palette Size: approx. 14.7 11.3 1cm/5.8 4.4 0.39in. 1 x Eyeshadow Palette. - Mainly suitable for eyes,lip,cheek and suitable for all skin types,not for the body and nail. Twinkle: The most astonishing eyeshadow of the palette, its a deep blue intensely sparkly eyeshadow. It has the most glitter in it. 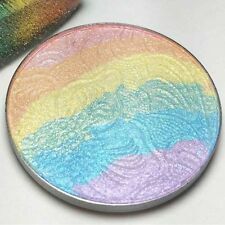 The texture of the eyeshadows is really very soft and smooth. Nine out of twelve eyeshadows in this palette are super glittery perfect for special occasions and parties and of course Christmas. Saffron Glitter Gel Eye Shadow Palette. Glitter gel eye shadow can be worn alone or apply over your favourite eye shadow for instant sparkle. 16 Colour palette. With Palette design, space-saving and easy carry. 1 Eye Shadow Palette. Help to create a natural beauty look that will last all evening. Feel light and soft, easily create clear and brilliant eye makeup finish. Feature: Brand new and high quality Making you eye look natural and colorful. 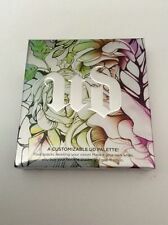 These palettes include matte and shimmer colors. With an assortment of neutral tones in shimmer and matte effect This palette is perfect for everyone when applying a shinny effect makeup Being used as eyeshadow, rouge, eyeliner and shimmer highlighter. 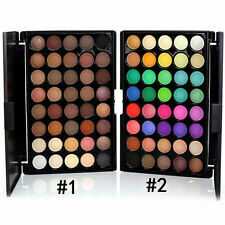 Color:14 Colors Package Included: 1PC. 10 Shadows - 5 matte / 5 Glitter. Charlotte Tilbury Luxury Palette of Pops in Supersonic Girl SOLD OUT NOW! !